One of the most common jobs we come across on a day-to-day basis are leaks involving showers. Apart from having the correct equipment on hand, the most crucial aspect to identifying and rectifying shower leaks is knowledge. From years and years of experience and know-how we have become leaders in resolving these hard to find nitty-gritty leaks. The process to detecting the origin of these leaks is paramount. 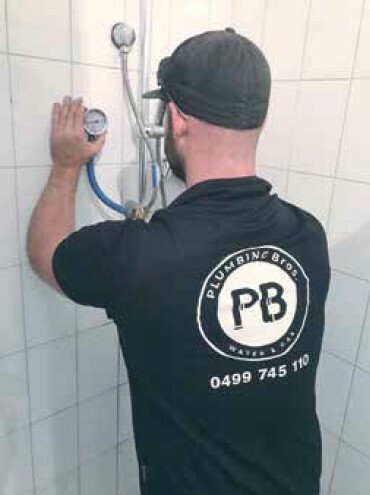 Upon investigating the shower recess and identifying a potential leak in the shower region, the very first step is to undergo a pressure test. To do this we remove the shower head and apply a water pressure gauge. This serves 2 purposes. The first is recognise any potential pressure drops between the shower taps and the shower rose. The second is to be able to remove all water flow from the shower so we can work in a dry environment for relevent testing. Once the presure gauge is fitted, open the taps all the way to simulate a real time showering process. Now remove the handles and flanges and visualise any potential leaks in and around the tapwares body and spindles (or cartridge in the case of a mixer tap). From experience we are able to rectify a large number of leaks from this process alone by identifying that a full tap service is required. Changing of body washers, o-rings, lubricat and tap washers will resolve the majority of leaks that have been visualised during this stage of the process. Should the external plumbing appear in good condition, we now need to take a very close look at the grouting, tiles and waterproofing membrane. If any cracks are located in the tiling or grout we would then refer this on to our tiling division to quote for repairs, whether it be as simple as re-grouting or as in-depth as a full shower rebuild. If the grouting appears to be in quality condition and has been ticked off by a professional then the process becomes slightly more difficult. We now have to rule out any leaks in the drainage waste pipe work. This is as simple as pouring drain dye down the shower waste to visualise whether the leak changes to the colour of the drain dye. The amount of time the dye is left to set will be determent on the size and severity of the water leak. For extra small leaks this sometimes is required to be left overnight. The final step is to undertake a full leak detection process with the assistance of state-of-the-art machinery. Please note that this step can sometimes happen a lot sooner if there is a noticeable pressure drop in your gauges upon original pressure testing. It would also be a good idea to now explore your home insurance policy as one the rare occasion that it does get to this final step, it can become quite costly in demolition, repairs and reinstating. As a side note if you were ever considering a full bathroom renovation or make-over, now could also be the time to action these plans. This requires identifying the leak using an accute listening device or thermal imaging camera, removing a section of tiles, jackhammering the wall, repairing leak and then finally reinstating all back to its original form. 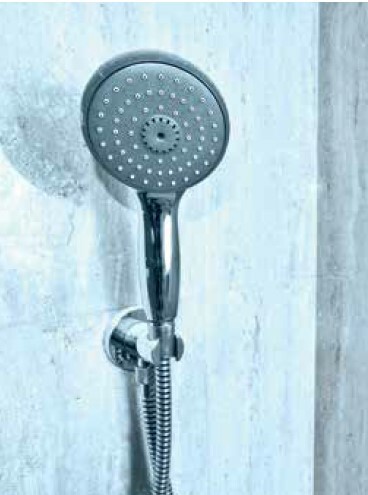 Once the leak is located and repaired, we would generally set you up with a new shower head and taps and you are as good as new.